THE words "tribute band" often conjure up cringe-worthy mental images of jaded musicians hashing out someone else's greatest hits. But The Bootleg Beatles have a list of credits so long and distinguished that the tribute band label hardly seems appropriate for them. The group is now in its 33rd year and has performed more than 5000 shows. They were invited to perform at Queen Elizabeth's Golden Jubilee celebration at Buckingham Palace and are the only tribute act to regularly feature on the Glastonbury Festival bill. They even toured with British rockers Oasis in 1995 during their meteoric rise to international fame. They famously joined Oasis on stage at Earls Court Exhibition Centre in London to perform I Am The Walrus. "It was an amazing time," guitarist Andre Barreau said. "They were on the way up. It was their rise up to success and we were lucky to be around and to see all that." Barreau, the George Harrison of the group, is the only remaining original member of the band. After touring Australia for the first time last year, the Bootleg Beatles are back for a 20-date national tour starting next month. "It was really great. That's why we're coming back," he said. "The band's been going for 30-odd years and in all that time we'd never played Australia. Now we want to make the most of it." Their shows, authentic down to every last detail, feature a wide selection from The Beatles' mammoth back catalogue. "We always have enough hits for people who aren't real experts but we also put in songs for people who are fans and know the music broadly," Barreau said. "Whoever does it (a Beatles tribute band) they have to love The Beatles really deeply. You have to perform with the same gusto and enthusiasm every night. "We haven't done many changes to the group but when we have they really are Beatles fans. That's the fundamental thing to doing it for a long time. "And it does help being English. No matter what anyone says, we have a head start on the accent (laughs)." Next month's tour will see the four-piece band backed by a nine-piece orchestra. "That means we can do that Sgt Pepper era with songs like Penny Lane and Strawberry Fields Forever," he said. "And we've got loads of other songs we're going to do this year, like Love Me Do, that we didn't do last year." 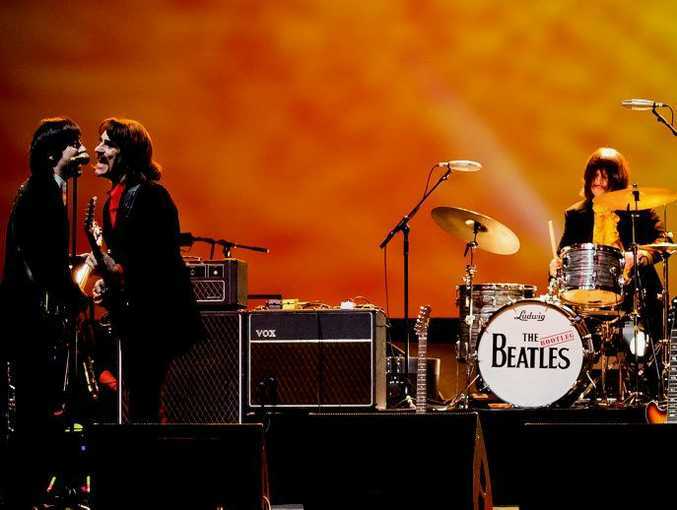 The Bootleg Beatles play the Mackay Entertainment Centre on July 25, Twin Towns on July 26 and the Kedron Wavell Services Club on July 27.